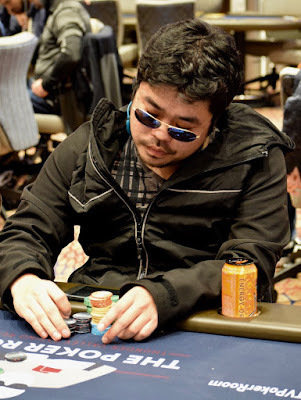 Kao Saechao opens for 3x, Travis Fujisaka bumps that up to 1,700, Jake Balsiger comes along, Kelly Douglas and Daniel Evans get out of the way from the blinds, Saechao calls and off to the flop they go 3-handed. Saechao checks the flop, Fujisaka (above) makes it 2,200, Balsiger calls and Saechao steps away. 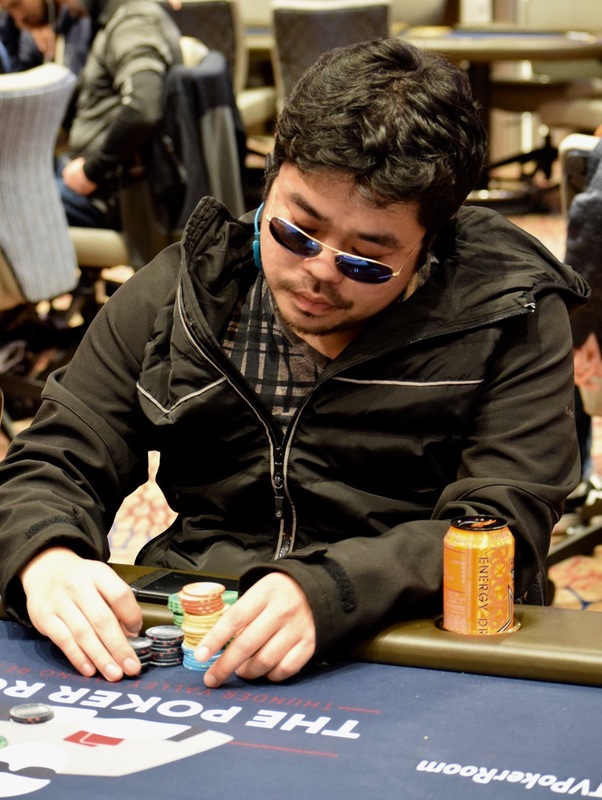 3,500 more from Fujisaka on the turn, another call from Balsiger.